City News presents the stories of two students in City Harvest Church’s School Of Theology. One is an elderly man who loves the Word of God so much, he would be the first to arrive at Bible school every morning. The other discovered the transforming love of God at SOT. City Harvest Church’s School Of Theology is a place where people of different nationalities, languages, ages, and levels of spiritual maturity congregate for seven months to commit their minds to learning about God and His Word. All come with a hunger is to go deeper with God, but each arrives with his or her own motivations, challenges and deep desires. Every SOT student has a story; we bring you two. At 77, Peh Ah Peeh, affectionately known as Uncle Peh, was the oldest in the 2018 cohort of SOT. He stood out easily with his full head of white hair, but it wasn’t only his age that earned him the respect of his fellow students. Uncle Peh won the Courage Award at the graduation service last weekend, and for good reason. Every day, Uncle Peh would report to SOT early. Often, he would be standing at the gate before it was even opened in the mornings. As Uncle Peh was always early, he would invariably sit in the front row at class. He would have made a good student when he was young, except he did not have a chance to. His father passed on when Uncle Peh was very young, and he could not afford any formal education; instead, at the age of 11, he started selling coffee. But the lack of education did not stop Uncle Peh from leaving his job as a cleaner to enrol in SOT early this year. “I was not sure what I would encounter, but I just want to give it a try,” he tells City News, speaking in Mandarin. Uncle Peh first encountered God 12 years ago, when his daughter prayed for him to receive healing. Due to a diabetic condition, his leg had swelled up and his doctor suggested amputation. Uncle Peh’s daughter told him about Jesus and prayed in faith for divine healing for his leg. “I told my daughter that if Jesus heals my leg, I will believe in Him,” Uncle Peh recalls. True to his word, when God healed his leg in 2006, Uncle Peh made Jesus the Lord of his life. Since then, he has been walking with God and attending City Harvest Church. His reason for enrolling into SOT was simple: Uncle Peh just wanted to know God more. He felt that his knowledge about the Lord came from here and there, and he wanted to be properly schooled in what it means to be a Christian. He enjoyed learning at SOT, and expressed thankfulness for the classmates around him who were kind and helped him in his studies. To him, age is no barrier to learning more about God. His seven months spent in SOT was not without challenges. Uncle Peh had trouble trying to keep up with the speed at which the classes were taught, and not having been educated, he needed help taking notes. Some of the complex content taught was difficult for him to understand. But such challenges did not discourage Uncle Peh from pursuing God. He told City News that although he has graduated, he will continue studying the things he learned at SOT, to obtain deeper revelations from God. Uncle Peh’s devotion to Jesus is evident in the way he speaks about Him. During Deliverance Week at SOT, where students learned how to conduct deliverance, it was an area of spiritual life that Uncle Peh was not familiar with. But he said that he was not afraid during deliverance week because he felt the presence of God. “I trust in Jesus. He alone knows the ups the downs of our lives,” says Uncle Peh. Gremelle Balacuit, 36, is a church worker from World Harvest Church in the Philippines. Gremelle learned of CHC and the School through his pastors who are SOT graduates. Before attending Bible School, Gremelle always felt that he had to do more for the Lord because he is a Christian. He felt he needed to strive and work out his faith in order to gain the Lord’s favor. At SOT, Gremelle received the revelation that God loves him. He learned that it did not matter what he did, and that even if he did nothing, the Lord would still love him. CHC pastor Jimmy Sng taught at one class that even if there was only one person left on Earth, Jesus would still have come to give His life for him. This truth struck Gremelle’s heart deeply and revealed to him the depths of the love of God. Gremelle found that his prayer life and his relationships with people became stronger after learning how to handle relationships at SOT. He returns to his home church to continue helping the church in any capacity that he called to, potentially to lead a new cell group and plant a new satellite church. Joining a ministry is a part of CHC's School of Theology's curriculum. 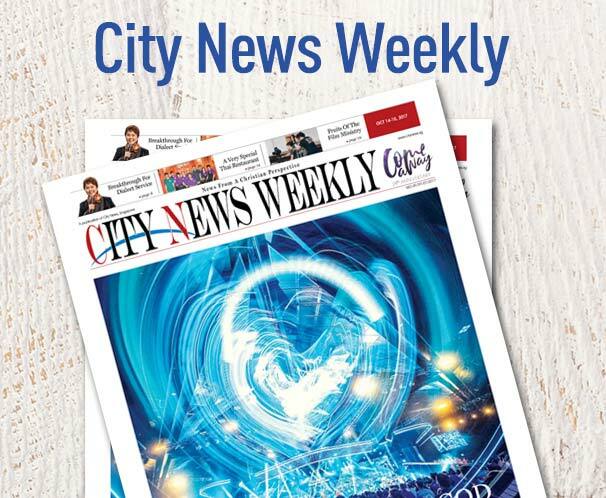 SOT Writers joins City News covering church and SOT events. Coming from different nations and culture, SOT Writers are also here to tell us their stories and the stories of their classmates.